MantisNet software solutions unleash the power of data-in-motion, giving organizations the ability to automate and control network infrastructure at wire-speed. MantisNet Software Defined Network (SDN) and Network Function Virtualization (NFV) solutions provide the information that is needed when it is needed. From basic connectivity to monitoring to wire-speed traffic engineering, telemetry, cyber security, and service orchestration, we work with existing test tools and analytics infrastructure to better understand and optimize network activity. 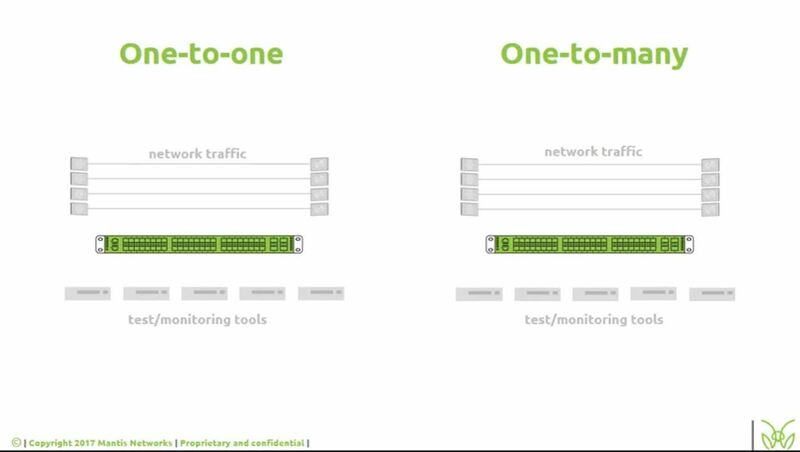 The Programmable Packet Engine (PPE) is a revolutionary network monitoring engine that provides dynamic flow-based: extraction, classification, and analysis of network traffic to solve both descriptive and predictive analytic challenges. The Reconfigurable Frame Processor, Next Generation (RFP-NG) is a highly intelligent P4 based programmable 100G switch providing load balancing, filtering, and advanced INT management. The Intelligent Patch Panel (IPP) is an innovative distributed switching system for test automation and monitoring environments. Click on the Products above for product overviews and further details, or View our Product Overview Presentation here.